Rosacea is a common inflammatory skin condition that impacts a large portion of fair-skinned populations. The redness associated with rosacea can be a significant challenge. 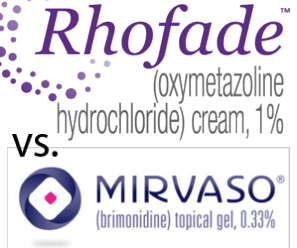 Brimonidine sulfate and oxymetazoline HCL were both recently approved by the FDA for the management of facial redness. These agents, however, are costly, and not all patients respond to the medication. Herein, we describe a clinical pearl that helps to optimize patient selection for the medications. This saves the patient and the health care system both time and money.